Hello from freezing cold Florida. Seriously, it was in the 20's when we woke up this morning. I am back from a recent girls trip to Key West. It was an amazing 5 days and we did not want to come home. 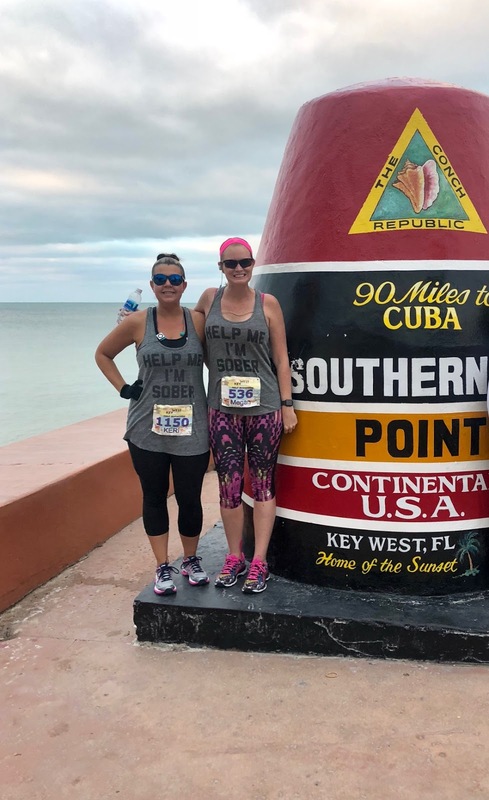 During the girls trip, we ran the Key West Half Marathon. I will share all the other amazing activities we did while on the trip but first, let's talk about the race! The girls trip included by best friend Keri and my former roomate Tara. We have been friends for over 20 years and know how to have a great time together. 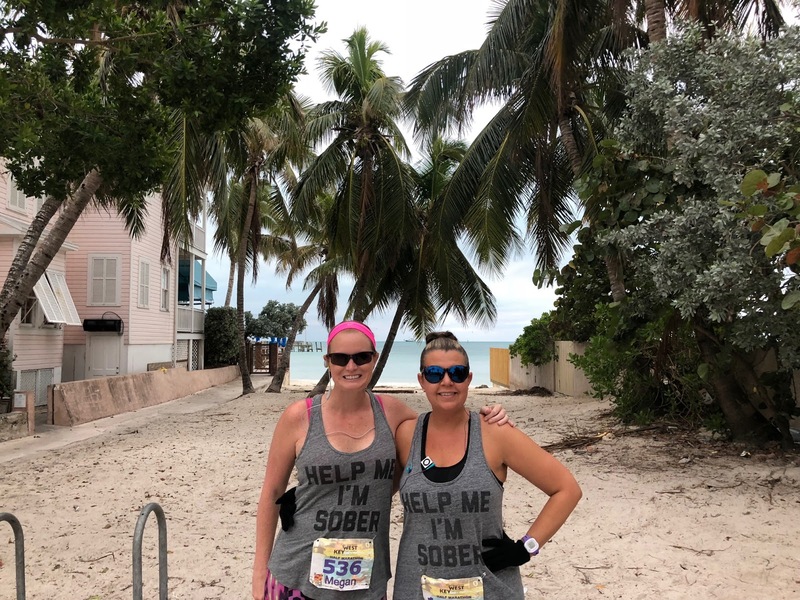 This was Tara's first half marathon since she had her daughter and being the 20th anniversary of the Key West Half Marathon fell on her birthday weekend, we decided to make a girls trip out of it. FL has been hit with a few crazy cold fronts over the past month (including what I'm experiencing right now). While I realize it's nothing like my friends up north are experiencing, this is not weather Floridians are used to. On Sunday morning, we woke up with 20mph winds with temps in the 50's. I will take 50's all day for running but not the headwinds. We rode our bikes to the start line and we were freezing. 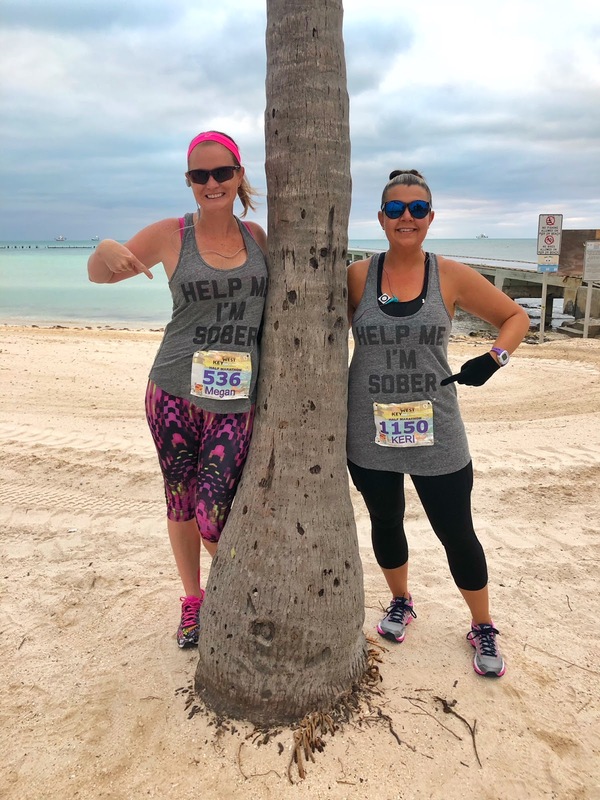 We did not bring throw away clothes so Keri and I ran our first few miles of the course with our race finisher shirts on. I will NEVER again give anyone a look for wearing their race shirt before they finish a race. Being the first part of the race was on Duval St, we were luckily able to ditch our shirts at our hotel! Keri and I were running the 13.1 miles for fun. We did a 1:1 and took a ton of pictures, enjoyed the beautiful scenery and had a great time together. We chose the 1:1 over other intervals because we've had success with it in the past with not being tired or sore following the race. Since we were on vacation, that was important to us. Tara came with another plan as she wanted to leave the island with a PR. The first few miles were on Duval Street and brought us out to A1A. 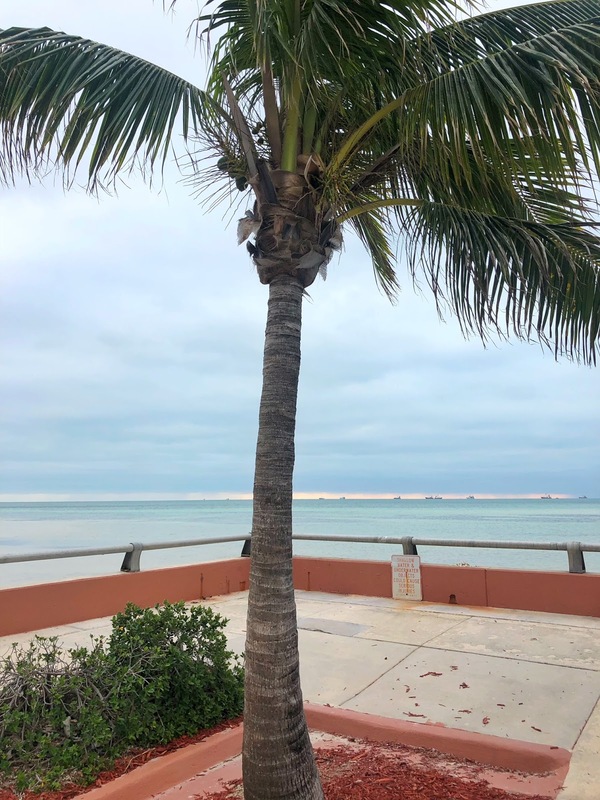 We passed The Southernmost Point, South Beach, and other popular spots. Those headwinds decided to join the party and we had them until the turnaround point at mile 7. Around our mile 5, we saw Tara who was with the 2 hour pace group. She needed to finish under 2:04 to PR and I knew at that point, she was going to do it! Oh this shirt......we had an average of at least one person a minute commenting on our shirts. I will say, this shirt brought more attention than any other we've worn during a race. Between miles 9-10, we got the text from Tara that she had finished with 2:03! She did it!! 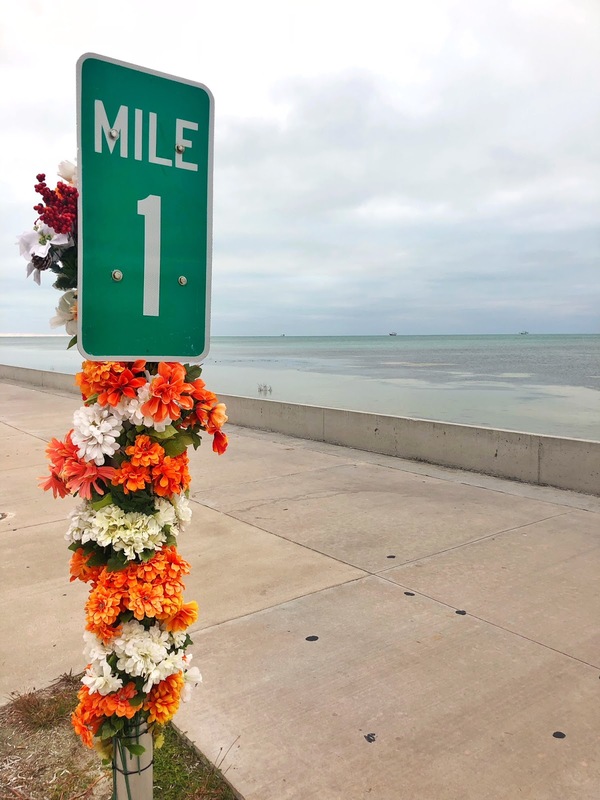 We ended up running down White Street Pier for mile 10, ran back to the Southernmost poinnt and found ourselves on Whitehead St. Keri wanted to grab our shirts from the house and made another detour. I told you we were in this for fun! 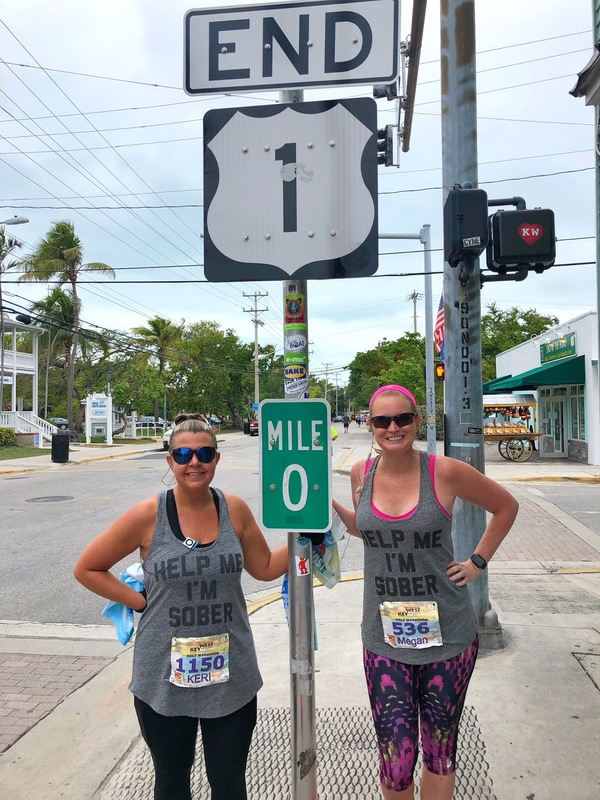 Before we knew it, we were at Mile 0 with a mile left to run. We ran into my Mom and Aunt who had located Tara. Tara crossed the finish line twice so we could get at least a few race pics together (which all came out god awful lol). 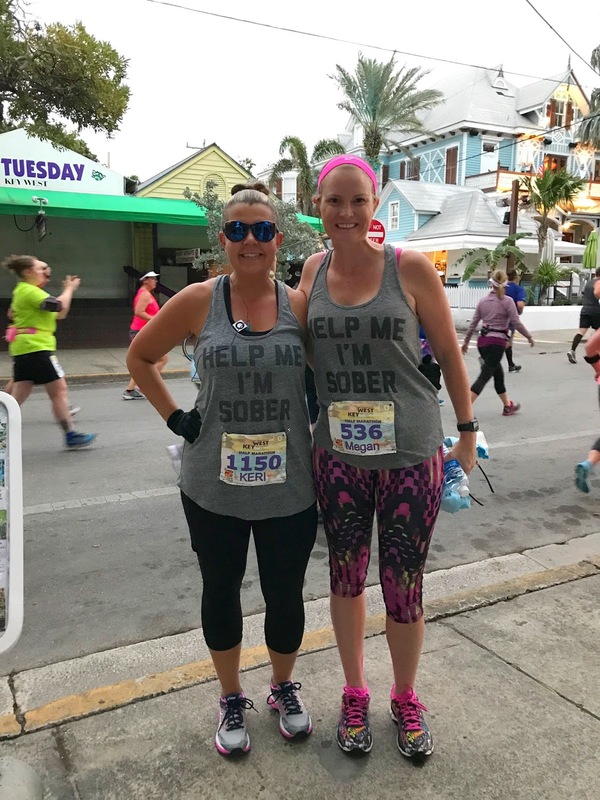 Overall, I have nothing but amazing things to say about the Key West Half Marathon. The course was gorgeous and flat. The course had a ton of entertainment on it and the volunteers were incredible. I would 100% come back and do this race again. 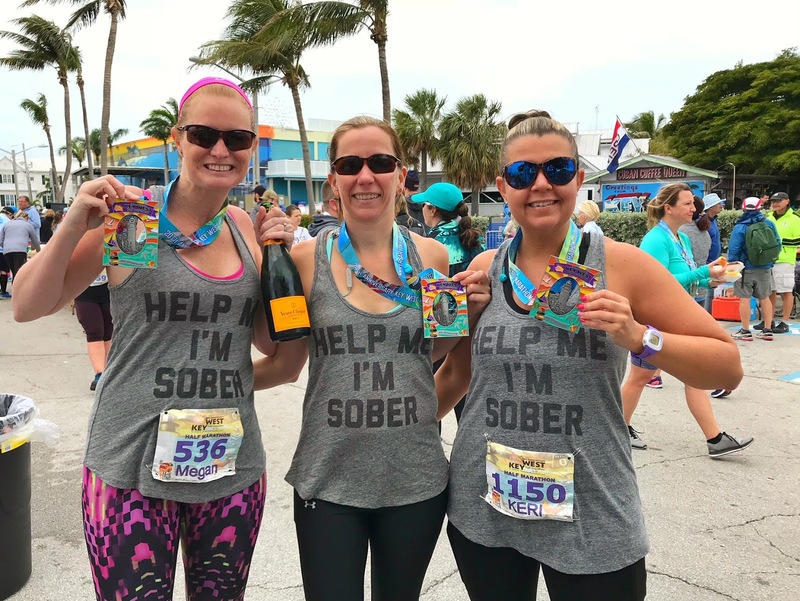 If this race is on your bucket list (which if it isn't, it needs to be), I suggest signing up for 2019 as they have a limited time race registration discount for only $73.99! Next years race day is Sunday, January 20th. 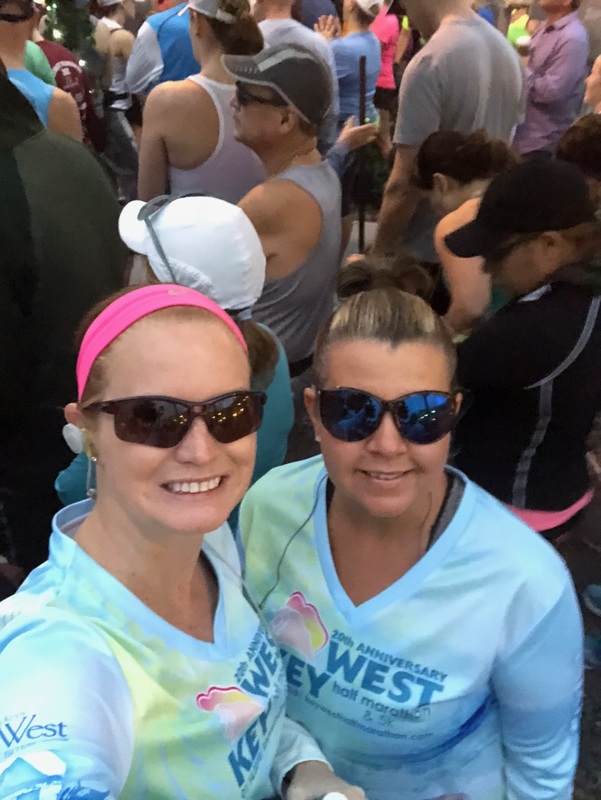 Click here to head over to the 2019 Key West Half Marathon registration page. 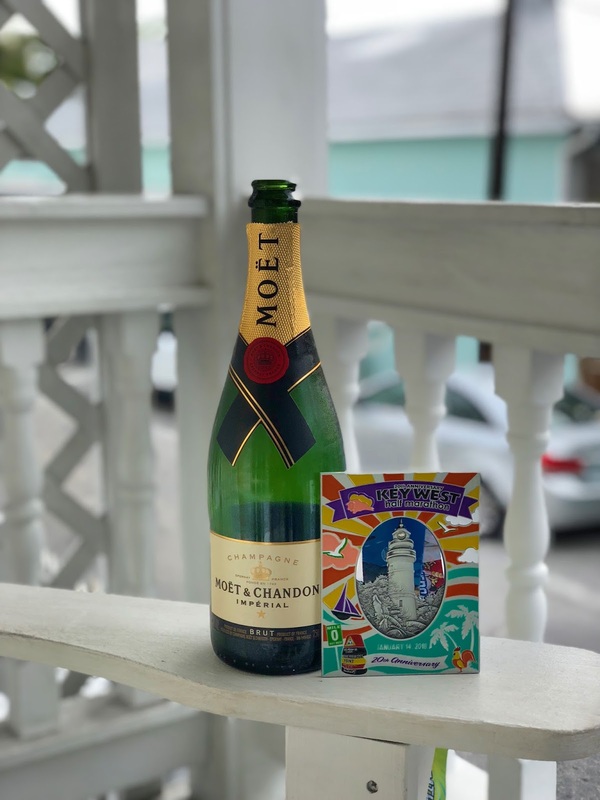 Disclosure: I received a free entry into the Key West Half Marathon. As always, all opinions are my own.